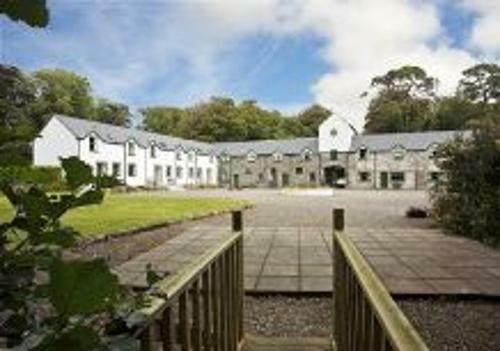 The cottages are set in woodlands and gardens with magnificent views over Bantry Bay. The Estate has its own pebble beach. The Beara, Sheeps head and Mizen peninsulas are all within an easy drive. Guests at Ardnagashel are spoilt for choice with excellent local restaurants, shops, pubs and craft centres and for those seeking outdoor activity, there are a wide range of amenities on the doorstep. The accommodation offered at Ardnagashel consists of seven cottages in a splendid 200 year old stable block together with a separate three bedroomed cottage in beautiful woodland setting. There is a separate laundry room and public telephone on the site. The main residence, a five bedroomed house with an adjoining two bedroomed apartment, is also available on a self-catering basis. Ardnagashel Estate offers you “A little piece of paradise” for your holiday. Cottages have Living/Dining area with inglenook fireplace with gas fired cast iron stove, TV, sofabed. kitchen area with microwave, cooker and fridge/freezer.